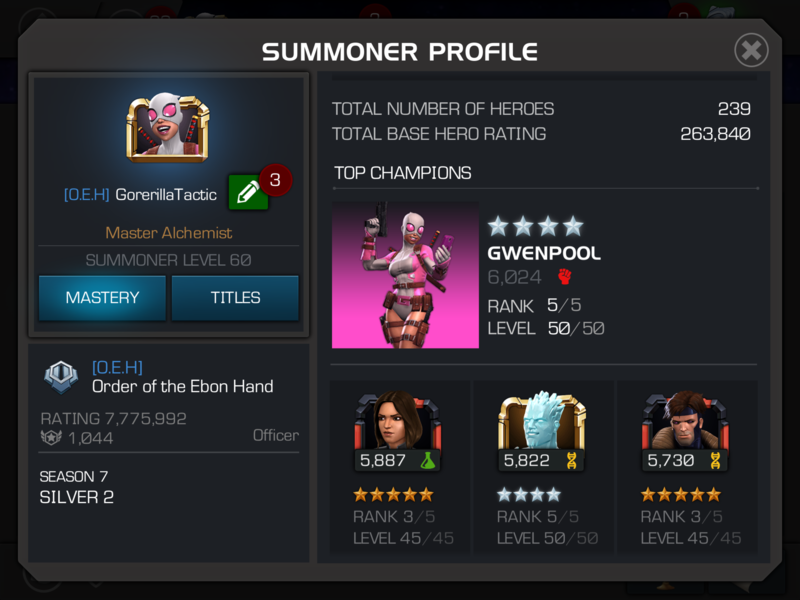 Hi all, looking for a new alliance due to not feeling part of the team in current alliance. 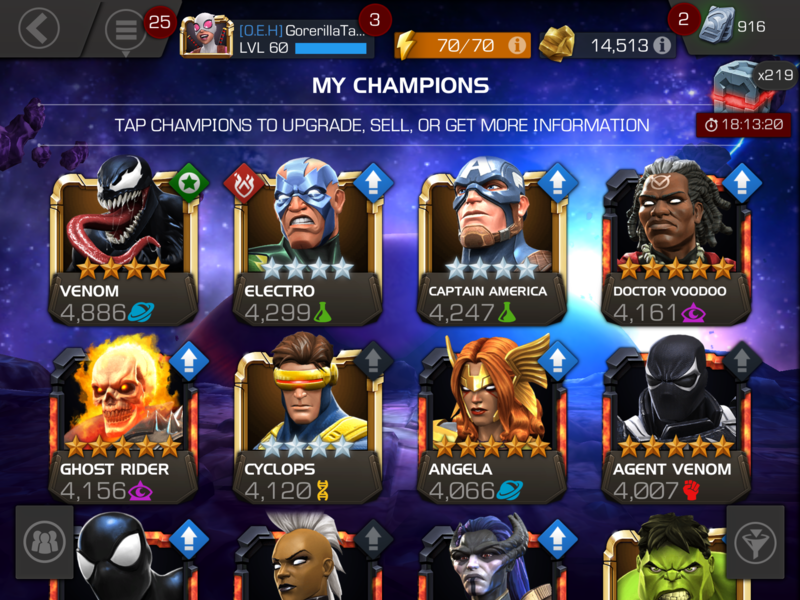 I’m a very active player, will participate in all aw and aq. The more social the alliance the better! I have both line and discord. Hope I could be a good fit for one of your alliances! Look up Mr Tic Tac in Game. We are 7m rated. Currently Gold 3. 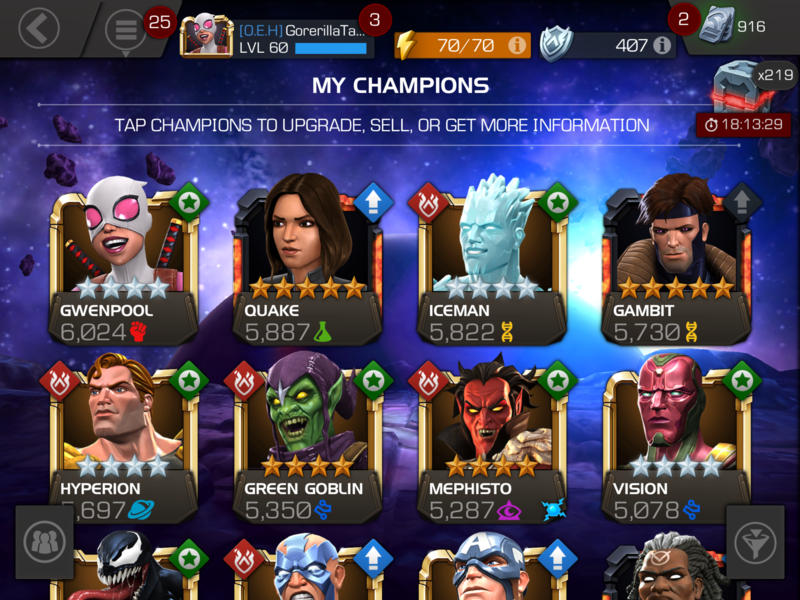 Do map 4 in AQ, starting map 5 once a week soon. Hi, Tom we are flattered that you want to join us at ODB2.0, unfortunately, I believe that your account would be able to sustain the AQ and AW of higher tier. Please feel free to contact us after you've progressed further. 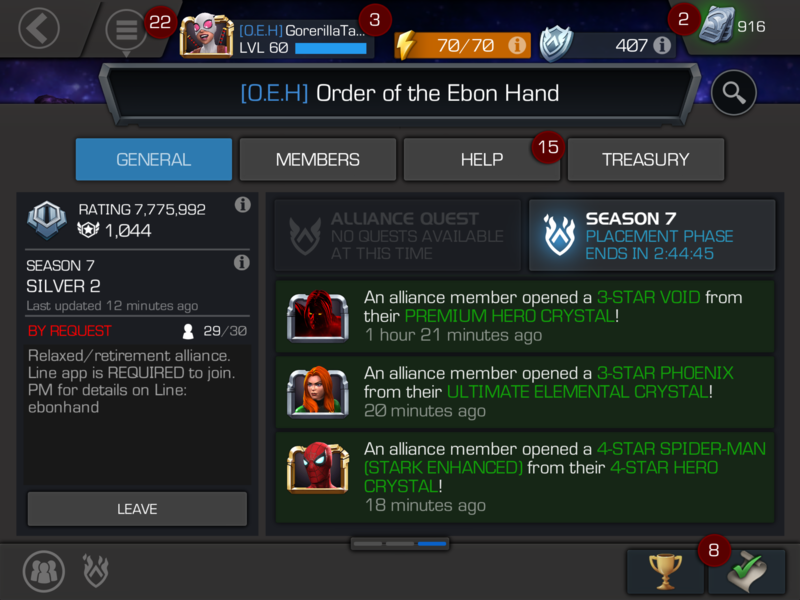 If you're still looking for an alliance, then check out The Order of the Ebon Hand [O.E.H]. We're a chill/retirement but active 7.7 million alliance that's recruiting two plus players with a base rating of 80-100K+. We’re Silver 2 looking to advance to Silver 1 or at least Gold 3 by the end of Season 7. The LINE app is REQUIRED to join, and it keeps us more organized in AW/AQ. PM one of our officers (ARGaming86 <---ME, OpethFan1, ClassyMassey) or our leader Liam Seven (ebonhand) on LINE for more details. Adding one of us is a MUST especially ebonhand and you MUST add us on LINE before joining the alliance. Participation is key! Group participation in completion, item use, duels, etc to reach max rewards is highly recommended. No donation requirements. We understand that life issues happen, but please communicate. If there are any grievances, take it up with me or another officer. If you do decide to leave us, please give us warning and don’t leave in the middle of AQ/AW. It doesn’t just hurt us but yourself, rewards wise. We run AQ Maps 2 and 3 simultaneously when we’re not in the middle of AW. It’ll be a combination of 3/3/2 or 3/2/2. While in AW, we run three (3) BGs of Map 2 or 3/2/2. We might do Map 4+ if we have enough in our treasury balance. Donations aren't mandatory but appreciated if you want to do beyond Map 3. We’ve been doing more Map 5 recently. We run AW two to three times a week and AQ daily. We’re looking to push towards 3 BGs once we obtain a solid 30 members. There aren’t any assigned paths in AW, but you can announce the path you’re taking in LINE. 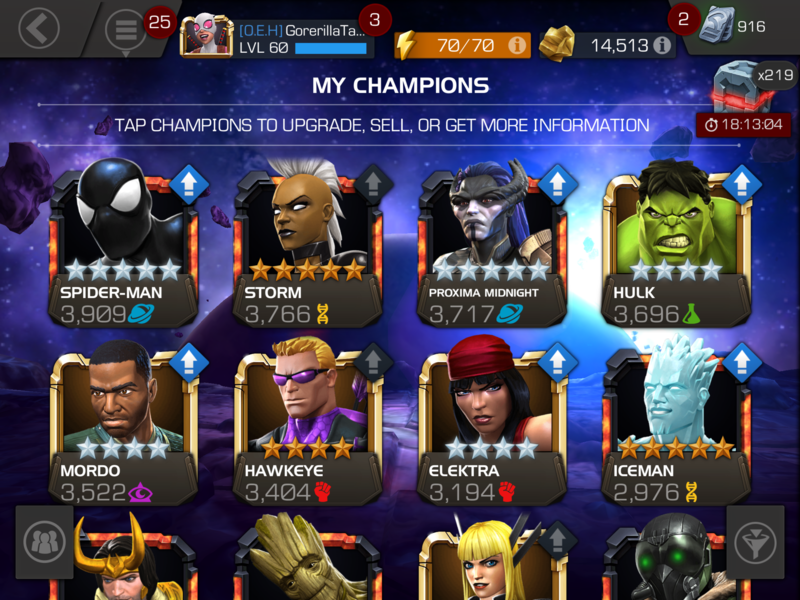 The use of top champs is a must where nothing under 2K in AQ/AW is allowed/recommended. 4*’s 3/30+ is recommended but no 3*’s. 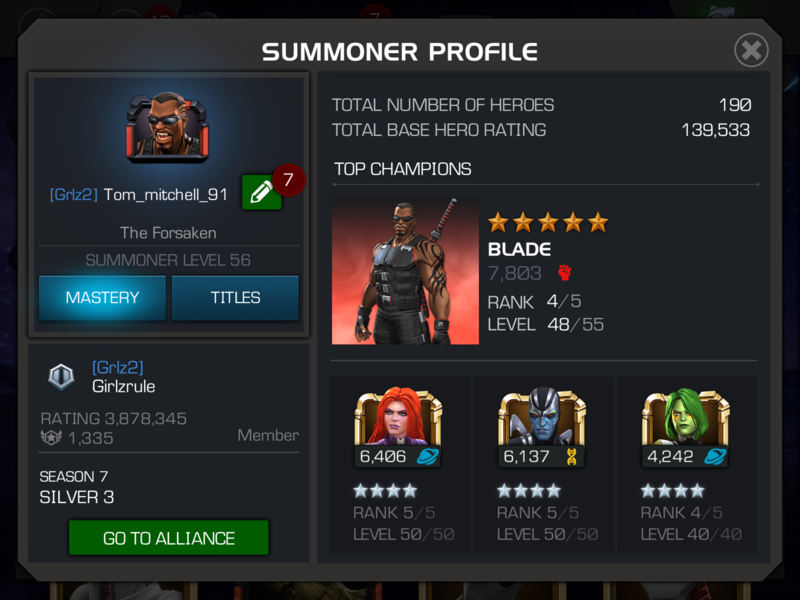 No pressure to join AW/AQ but participation is required/highly recommended when joining. I’ve sent a friend request in case you’re still looking. AW is a must, we are currently sitting at tier 12 and Silver 2.
we are a fun alliance. We respect life events and ensure that every member are doing their part. Leadership is always keeping in contact with members. If you are interested, give me a shout on the game. My account is "Supreme Jay"
Hi Tom. We are interested in having you as our teammate. If you have not decided on an alliance yet, please take a look at ours and see if we might fit what you need. Below is a post that I have used the past 1.5 weeks to recruit for the few spots that we will have available in the next few days. We currently have one now. The post will give you more information about us and if there is any questions or concerns that we did not address, please reach out to me here or in-game. My IGN is gladiator2014. Hi. We will have 2-3 spots in our alliance that will be opening up in the next 2 weeks. We are looking for veteran players that are active, friendly, and a team player that have similar outlook as we do about the game and would like to join us. Our alliance is a chill and relaxed alliance with no drama. We have teammates primarily from the USA, but also from Europe, Asia, and Australia. Our lives outside this game, such as family, school, and work takes priority! Despite time zone differences, we get along very well and accomplish our goals of having fun but also help each other get resources by doing our part in the events as best as we can. If we need to slow down much further, we do have a sister alliance, [Dos34], that our teammates can temporarily jump down to play at a much slower pace so that we can take care of our responsibilities outside the game and help build it up. When we have more time to play, we would go back to this main alliance [1Dos3] to continue with our growth. It's very much like a family here. Here are some recent updates to our alliance. 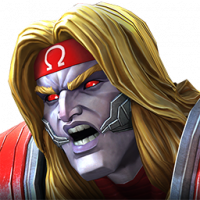 We remain an organized, active, AQ focused alliance. AQ is the most important and will not be compromised by war. War is non-mandatory/optional and participation is for those that are available and shown interest in war. This means, if you sign up for war, you must be available to fight during the offensive phase or let the team know if something important came up and you become unavailable. It may or may not run concurrently with AQ. We usually do 1 - 2 wars a week (at least 1 and usually 2), and never if it will compromise AQ efforts. Mostly, it's a 1-BG war in our alliance for those interested teammates and the offensive days are Thursdays and/or Saturdays for the most part. For Season 8 War, we are likely to be ranked at season's end in the Bronze 1 or Silver 3 bracket. So if war is your passion and is of high priority, this alliance will NOT fit what you seek! Donations are mandatory and are due each Monday by 11:59 PM PST. We request the following weekly amounts: 15,000 gold and 1000 loyalty. We participate in weekly SA. We have been surpassing the 500K mark each week for SA with a weekly average of 647K for the past 6 weeks. Our high is 778K and low is 566K. We are ranked 6-20% for SA. In other alliance events (particularly the 3-day events), we continue to reach the last milestones consistently, so you will get good rewards with us. With Arena Wins, we are ranked 51-100%. With Completion and Item Use, we are ranked 21-50%. With Villain use and Avengers use, we are ranked 3-5%. Guardian Use, we are ranked 6-20%. There are NO event minimums. We use Telegram as our communication app. This is required. 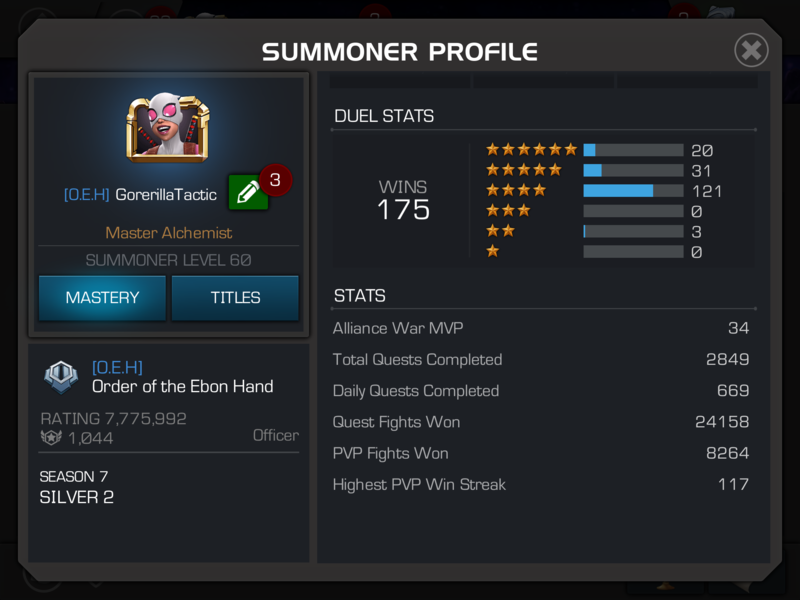 If you are interested in our alliance or have additional questions, please look for me in-game. My IGN is gladiator2014. You can also find me on Telegram as my username is the same: @gladiator2014. Please don't forget to use the @ in front of my name in the search box or you won't find me. If you are still looking for a new alliance, Give Divinity Rangers a look. We area team and include everyone in that team environment. We do use line but it is not mandatory at this moment. our Tag is DR316, You can look me up in the game or on line under the same name. Ok man have a good day and hope you find the best alliance for you. We are looking for active members. do 5.4.3 AQ. 2 bg every war. Use line.